Who would want to fight in the beautiful park of Focus City? It wasn't made for fighting but rather as a haven for those who wish to escape the hectic everyday life. Yet somehow there was an invitation to fight against such a person, a young man who had boasted a challenge: to defeat him or he would proclaim himself the best fighter in the entire school. She didn't see the appeal of this challenge, after all, she was made for tactics and support rather than fighting although she would come to the park to rather instruct those who wish to challenge so they would become victorious. Upon arrival, it was rather obvious who this challenge was. Amira had seen him around the school grounds before, boasting loudly and brandishing his sword. While he was all talk, she had no idea whether his skills matched up to his talk. She had never seen him fight before but was curious. It wasn't long before the two locked eyes. "Hehe are you here to challenge me in a fight?" He asked as a cocky smile hung down upon his face. She shook her head and leaned back against a tree. "Scared huh? I guess that makes sense, nobody has the guts cause they can't accept the fact that I'm the superior one." He taunted, Amira guessed he had done so to get a reaction out of her. Instead, she kept a neutral face and did not say a word as the boy continued to taunt her. Irritation quickly built up inside of her, threatening to explode in a form of a rant any second. Her face betrayed her emotions as it slowly began to glow red from anger. Just a little bit longer. She thought to herself as she was forced to endure through the taunts. Reinhard had received a call from Ami earlier that day, she seemed like she was just a little annoyed, She had said that she wanted to begin training Reinhard today and that she wanted to meet him at the city park. And so Reinhard got dressed and made his way to the park to see what training Ami had in store for him. Upon his arrival he saw Ami leaning against a tree with a few other kids not far away, what could possibly be going on? One of the students seemed very cocky and smug and Reinhard heard him speak out "Scared huh? I guess that makes sense, nobody has the guts cause they can't accept the fact that I'm the superior one." and in that moment Reinhard used this to make his entrance. "Scared she isnt scared. She just knew I was coming so she just sat back and waited. Im Reinhard by the way I look forward to defeating you in combat." Reinhard said this with a smile as he walked over and stood beside Ami. He would then look at her and smiled as he poked her left cheek. He did this as a way of being funny before he then put on a more serious face and placed his hand on the handle of his sword that was slung behind his back. "You? You're gonna fight me? This must be a joke how could you possibly beat me you scrub, you are just a freshman." Just a freshman? Reinhard was very far off from an ordinary freshman, and such a thing would become clear very soon. And with that Reinhard would pull his sword from the sheath on his back and hold it in his hand as he stood ready for battle. "So you ready? Just so you know I won't hold back." As relief showed over her face as she saw Reinhard arrive she began to look the boy in the face, making sure to not break eye contact. "I hope you don't mind if I support him." Amira said cooly. Immediately it was clear that he was about to protest, however, she predicted that may have happened and prepared a response in the split second. "You are the strongest in the school correct as you claim? The strongest doesn't mind if I help the freshman match the level of an upperclassman, after all, he usually likes a challenge." The boy seemed shocked for a second, almost as if he lost his composure but would put up another facade to mask his hidden feelings, although she did feel a malicious stare at her. In response to Reinhard drawing the sword, the student drew his sword as well, and with the same cocky smile on his face merely shrugged his shoulders. "Help him all you want. It won't make a difference. I will still win regardless." As the last words left his mouth he immediately took off as he began to speed towards Reinhard in a clear attempt for an attack. Almost as fast as the boy, her mind immediately took off and began to analyze the setting. It was clear this boy was trying to outmaneuver his opponent and try to hit them as quickly and accurately as possible so it would end the match quickly. It wasn't long before she had pinpointed the boy's weakness, he left himself open to attacks. His defense was clearly low and if he were hit with a few attacks he would be done for. A small smirk appeared on Amira's face as her plan immediately hatched. It didn't take any elaborate movements to do the technique, after all, reducing air pressure was a very simple task. Reinhard would soon find the air pressure to be no problem as he would find it easier to move around quicker, however she made sure to confine this technique to affect only Reinhard himself. As she finished she quickly shouted the words, "He may be fast but he isn't durable, hit him as hard as possible." She had only hoped he would understand what those words would mean or else he would be finished off quickly. Description: A technique similar to speed, by decreasing the air pressure around one ally, the user is able to increase their speed by 3 points. 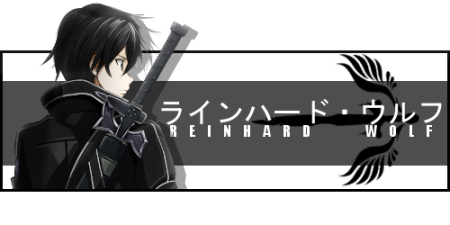 As Reinhhard was about to begin the battle Ami had interjected saying to the upperclassman that she would help him. Reinhard was never one to turn down help from his friends, however the look on the upperclassman's face seemed like he was about to reject to the idea, however Ami said made him feel like he had no choice by saying he was the strongest in the whole school so a 1 versus 2 fight was nothing but fair. Reinhard tried to hold in his laugh but it was obvious on his face. The boy would then agree to allowing such a fight as he would then soon charge forward towards Reinhard with all his speed. Suddenly the air around Reinhard felt different, as if it was close to non existent. However it felt like such a change in the air was chi induced. Such an effect must have been casted by Ami, who would then go on to say that the boy they were facing was not very strong he however was very fast which was how he won most of his fights. "He may be fast but he isn't durable, hit him as hard as possible." The information Ami gave him made him feel like he had a much better chance in this fight. Suddenly the boy was in Reinhard's striking range and he would move in for a swift finish, however Reinhard blocked the strike seemingly just as fast as it was dealt. "You seem pretty fast but I guess that girl is helping you." The boy said to Reinhard. All Reinhard did was laugh as he used his sword to push the boy back a meter or 2. Reinhard would then use the distance to activate a technique of his that would help him in this battle. "I won't lose to someone as weak as you." Reinhard would then let out a roar which would increase his strength. After that he would then charge at the boy and instead of swinging his blade at him he would use the side of the blade to slap him, similar to a baseball bat hitting a baseball. The boy would then go flying off towards the right as his head carried the rest of his body from one of the most crazy and absurd slaps in the history of slaps. Surprisingly enough though the boy seemed to have survived the hit, enough so that he could still stand. "Well damn this guy is a lot stronger than I thought... Ami what now?" 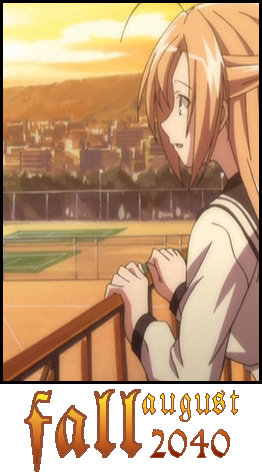 A small smirk appeared on her face as she noticed her underclassman speed up. It had always satisfied her when her skills were proven to be useful and were used to aid others. As Reinhard pushed the boy back with the sword and let out a roar, she knew that it would be used to increase his strength and had used the side of his blade to hit him as if he were a baseball player hitting the bat. While Amira initially had thought it would have finished off the boy, ending the fight as quickly as started she was startled to find that the boy was more durable than she had thought. That was why he was focused on his speed and attack rather than his defense. He could take a few hits. Pursing her lips she began to think as the boy simply sped towards Reinhard once more in another attempt for an attack. The words left her mouth before he could even get close to the freshman. "He's durable, he could take a hit. That's why he would allow his defense down. But since you had attacked him he was weakened. While he may be able to absorb another blow or two it is unlikely he will be able to stand any longer if you continue with another attack, I'll make sure your next attack is more powerful." She concentrated her chi upon summoning the wind. Reinhard would soon find that he was more powerful now that the wind was upon her side. Quietly she looked the other boy in the eye as she spoke once more to Rein. "Let's finish this now, I just want to go back to my dorm room, not deal with someone who brags he's the strongest when in fact he is not." As the upperclassman began to slowly pick himself up off the ground Ami would explain to Reinhard that he focused on speed because of the fact his body was already very durable. This made Reinhard let out a sigh as the student would attempt to charge Reinhard yet again and make an attack. Reinhard listened to Ami's words closely as she said she would ensure that the next attack Reinhard would land would be all he needed to win as she wanted to go back to her room and not fight someone who makes false claims to be the strongest. Ami would activate another one of her spells that would instead of increasing speed would increase the strength of Reinhard further. This made Reinhard put on a smile as the boy charged and Reinhard would clash swords with him. The two stood at a stalemate but it was obvious that Reinhard was the one truly in control of the clash. "I told you I wouldn't lose! I put that on my father and my last name!!!!" After hearing this the boy would put on a face filled with fear as he said "Waaaaaaait! You're his son? The son of....!" Reinhard would then overwhelm the boy and knock him on his back thus knocking the wind out of him. Reinhard would then hit the boy on the side of the head with the bottom of his sword's handle using it as a blunt weapon. Now that the battle was over Reinhard would smile and say "Well lets go back to school Ami, we can go do push ups in your room."